Under the Affordable Care Act (ACA), certain employers must report health care plan information to the IRS and employees. Specifically, Forms 1094/1095-B (B Forms) and Forms 1094/1095-C (C Forms) may need to be submitted for the 2017 tax year. 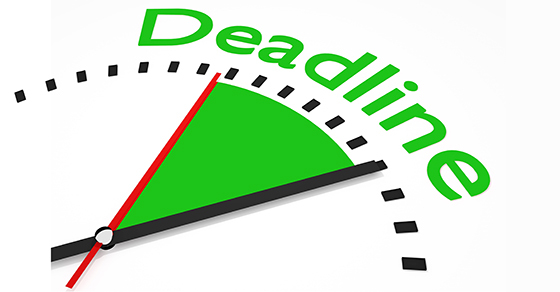 The agency recently extended submission deadlines for these forms under some circumstances. Let’s delve into the details. The B Forms are filed by minimum essential coverage providers — mostly insurers and government-sponsored programs, but also some self-insuring employers and others. The C Forms are filed by applicable large employers (ALEs — generally, employers that employed 50 or more full-time employees or the equivalent during the previous year) to provide information the IRS needs to administer the ACA’s employer shared responsibility and premium tax credit provisions. ALEs with self-insured health plans also report coverage information on Form 1095-C. Forms 1095-B and 1095-C must also be furnished to employees. The IRS recently issued Notice 2018-06 to announce limited relief for information reporting on Forms 1094 and 1095 for the 2017 tax year. The deadline for furnishing Forms 1095-B and 1095-C to employees has been extended by 30 days, from January 31 to March 2, 2018. Because of this automatic extension, the discretionary 30-day extension isn’t available, and no further extensions may be obtained. The notice doesn’t, however, extend the due date for filing Forms 1094-B and 1094-C (and accompanying Forms 1095) with the IRS. Accordingly, the deadlines remain February 28, 2018, for paper filings and April 2, 2018, for electronic filings. (Electronic filing is mandatory for employers required to file 250 or more Forms 1095.) However, filers may obtain an automatic 30-day extension by filing Form 8809 on or before the regular due date. In addition, the IRS will again provide penalty relief for employers that can show they have made good faith efforts at compliance. No penalties will be imposed on employers that report incorrect or incomplete information — either on statements furnished to employees or returns filed with the IRS — if they can show they made good faith efforts to comply with the reporting requirements. • Otherwise don’t make good faith efforts to comply. Evidence of good faith efforts may include gathering necessary data and transmitting it to a third party to prepare the required reports, testing the ability to transmit data to the IRS, and taking steps to ensure compliance for the 2018 tax year. If your organization self-insures or is defined as an ALE for the 2017 tax year, make sure you’re in total compliance with the ACA’s information reporting requirements. Our firm can help you with the pertinent details.